Beautiful lobby, great service. We always love Marriott hotels. It was further from the airport than we had thought but we actually preferred its more remote and quiet location off the freeway which was so easy to figure out how to get around there in Houston. Close to a mall, fast food and easy highway access. Great hotel, great comfortable bed, luxurious, fantastic location, safe. The rooms were very clean. The beds were comfortable. The pool was beautiful and helped to keep my children entertained. It was located by Green point Mall. The 390-room Marriott North At Greenspoint provides quality accommodation at reasonable prices for both the business and leisure traveler. 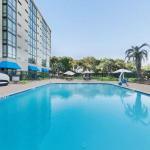 The 12-story, non-smoking hotel is next to the Greenspoint Shopping Mall and a 15-minute drive from George Bush Intercontinental Airport. The hotel operates a complimentary shuttle to the airport every half hour from 5am until 11pm. The full-service hotel has 18 meeting rooms for social or business functions. The largest can accommodate 600 guests. The propertys Kicks Sports Bar has daily specials from 4pm until 6pm. Area landmarks and attractions include four golf courses, the Sam Houston Racetrack, Splashtown Water Park and the World Houston Golf Center. All the guestrooms, and three suites, have a large work desk with high-speed Internet access, cable television with movie and news channels, pay-per-view movies, alarm clock, tea and coffee making facilities, iron and ironing board, wet bar, hairdryer, bathrobes and telephone with voicemail. Video games and players are available for rent. The hotels Prescott Grill is open for breakfast and lunch and Kicks Bar serves dinner. 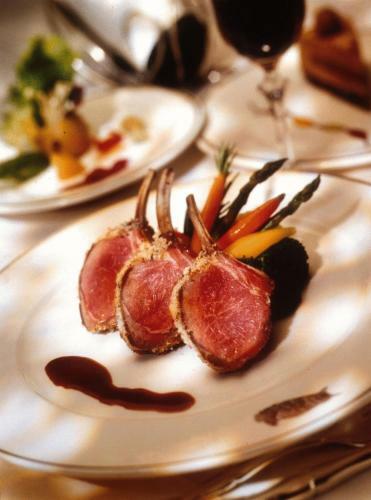 Room service operates from 6am until midnight and the hotel can arrange for deliveries from area restaurants. The hotel has an indoor and outdoor connecting swimming pool, whirlpool and fitness center. The 24-hour front desk has safe deposit boxes. Other amenities include a concierge desk, valet-dry cleaning, coin-operated laundry, full service business center, an ATM, vending machines and a gift shop and newsstand.